What’s the cause of your pain? But we also know the truth. Pain does exist, and all of us feel it at one point or another. Pain – like other sensations – comes in many forms. Sometimes even love causes pain, as in the case of love-sickness. But no matter what the context, when we feel pain, we want a cure. To add to your problem of pain, is the problem of choosing the right cure. Thankfully, this is simplified by the fact that the right cure treats the cause of pain rather than pain itself. Pain doesn’t occur for pain’s sake. Pain doesn’t just “hang out” like a lazy teenager playing Wii all day. It has a purpose. It is an alert signal for something that needs your attention. And simply turning off this signal will not fix the root cause of your pain. Your back constantly aches. It does so for a reason. It may be because of poor posture, a sedentary lifestyle, poor diet, lack of rest, overwork, or trauma. These are examples of root causes that can lead to further complications. They are the What’s-Really-Going-On things. You can take a pain-killer (drugs) that might block your pain. But it won’t help you sit up straight, feel alive or eat healthy. It might help you rest, but it won’t help you sleep restfully. It doesn’t alleviate the stress of overwork. And it doesn’t heal your trauma. Why? Because pain is just the messenger. And it’s best to heed the message. “Acupuncture doesn’t block pain. It unblocks pain.” To unblock is to allow your energy to flow. 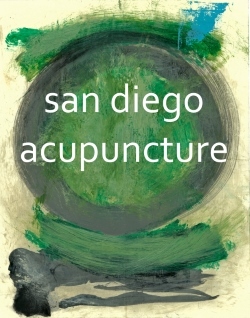 To put it another way, acupuncture clears your obstacles to healing. It helps you move away from pain and towards better health. It does this by enhancing circulation, balancing muscle tension, promoting tissue repair, and regulating your nervous system. The key word here is movement (energy flow). Movement means vibrant life. It also means that life requires effort from you. You need to keep your energy moving. Therapy is teamwork. Which means, yes, you need to do some work — sit up straight, exercise, eat right, find leisure in your life, and …relax. So who knew that relaxation took effort?